Sitting with Sussan the host and listening to George talk about his life, loves and music became more than what I expected. We talked about Olivia, Dhani his son and 'The Traveling Wilburys'. 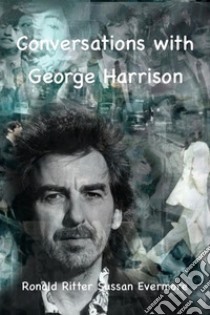 Whether you are a Beatle or George Harrison fan isn't important as you will enjoy the book equally. This is his understanding of his life from a higher place, his perception and ability to view his life free from judgment. Now read as George speaks through Sussan, a gifted channeler.